I am Isabel Crespí. 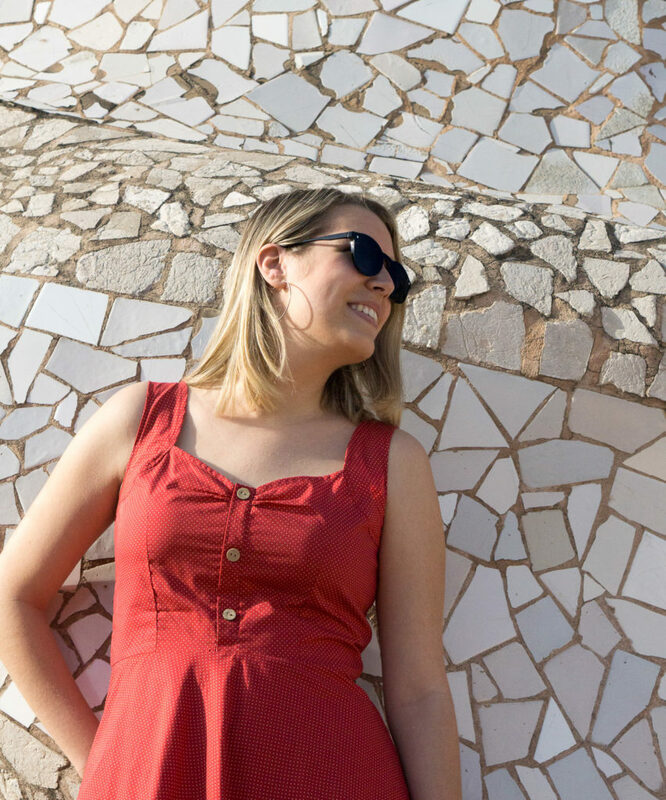 I am a predoctoral researcher at the Centre de Lingüística Teòrica at the Universitat Autònoma de Barcelona (UAB), a teacher of Catalan Language and a linguistics lover. 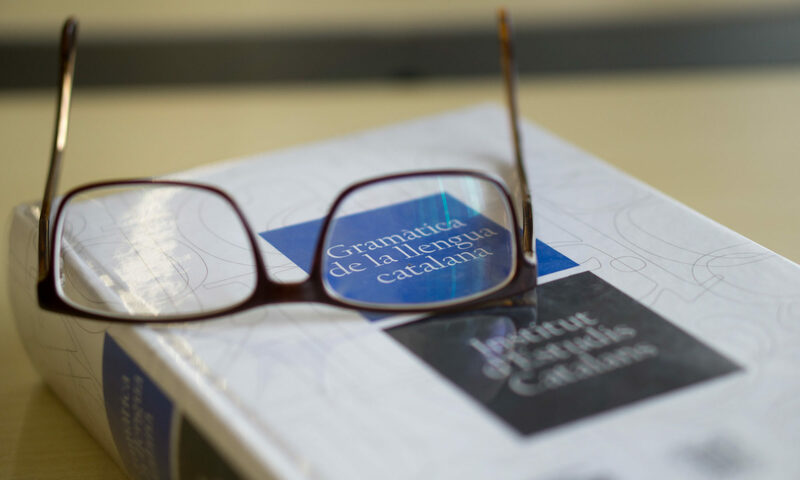 I combine the research in theoretical linguistics, the interest in Catalan Language and dialects and the passion for teaching in a frenetic and caffeinated daily life. I was born in Palma, Mallorca, the most beautiful paradise in the Mediterranean. When I was 18, I moved to Barcelona to get my B.A. in Catalan and Spanish Studies at Universitat Autònoma de Barcelona (UAB). During the last year I got a Minor on Linguistics and a Minor on Italian Studies (yes, Italian language is my secret hobby). After that, in 2015, I got my M.A. in Theoretical and Applied Linguistics at Pompeu Fabra University (UPF) and I discovered I liked research. In 2015 I got an FPU fellowship (Formació del Professorat Universitari – University Teachers Program) by the Spanish Ministry of Education. So, currently, I am pursuing my PhD within the Cognitive Science and Language program and I am part of the Centre de Lingüística Teòrica (CLT) at the UAB. My supervisor is Doctor Gemma Rigau, to whom I thank her support and implication in my research project which, without her, would have never hoisted sails. I am also part of the Department of Catalan Philology, whose members help me to grow as a linguist, as a researcher and as a teacher. My research focuses on the internal structure and combinatorial properties of non-personal verbal forms, especially participles, in Romance languages. I take Catalan and Spanish as the baseline. The doctoral thesis I am conducting is intended to be a significant contribution to the study of passive voice, participles and aspect, as well as to the study of (micro)variation in Romance languages. My research also aims to show how unexpected structures with past participles emerge and behave. This purpose has led me to make several incursions in the study of copulative and pseudo-copulative verbs, datives, Case, Aktionsart, prepositions and relational structures. As a predoctoral researcher, I also teach Catalan Language at the Faculty of Journalism and at the Faculty of Translation. Since I am concerned with the way grammar is taught at schools and at the university, I got the accreditation program in Docent Formation for Superior Education and, whenever I can, I attend courses, workshops and seminars about docent training, didactics and teaching. I can only add that I love to travel, to read, Italian ice cream, Catalan theater and strong coffee.